Who can resist a cheeseburger? Whether the cheese is mild or strong, traditional or super-gourmet, there's a cheese to match every craving. Need a cheeseburger recipe? Check out these recipes for cheeseburgers made from blue cheese, cheddar, feta, Swiss and pepperjack cheese. You can't deny that this mild and creamy processed cheese melts like no other. For the traditionalist, kids, and kids at heart, American cheese is a favorite burger topper. Neatly packaged in individual plastic wrappings, it travels well to BBQs and picnics at the beach. Want to try making your own processed cheese? Follow this recipe for homemade Velveeta. It's smooth, creamy, rubbery, salty, and melts well just like the original. Cheddar, either white or yellow, steps up the flavor quite a few notches. 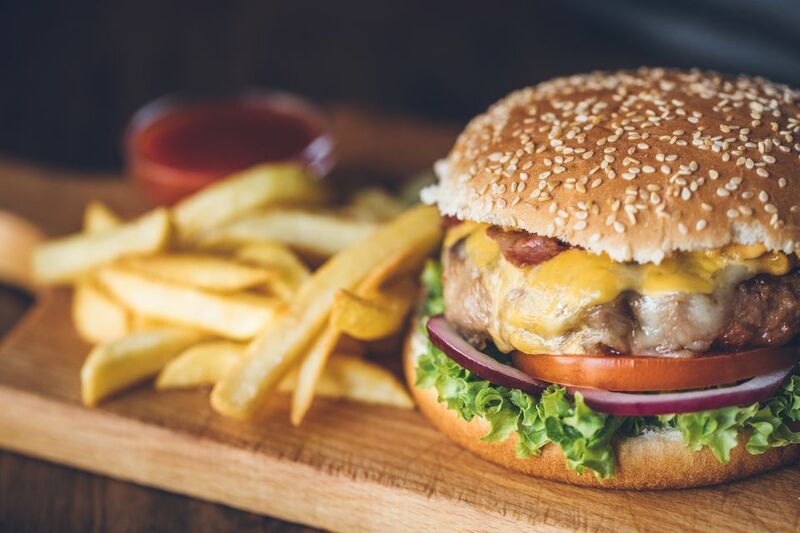 Go for extra-aged cheddar to add a sharp, tangy element to your burger. If you're in the mood for something new, skip traditional relish and garnish a cheddar burger with fruit chutney. The sweet fruit with the sharp cheddar is especially good on turkey burgers. Blue cheese gives burgers a spicy kick and a sweet/salty flavor that complements red meat. Add bacon or caramelized onions for the ultimate blue cheese burger. Gorgonzola, Roquefort, Pt. Reyes Blue or Rogue Creamery's Smokey Blue all work well. Blue cheese can be packed into the burger patty with the meat, or crumbled on top of the burger after it's cooked. Traditionalists might want American-made Swiss cheese, with its mild flavor and lacy pattern of holes. But go a little more gourmet with Swiss cheese that's actually from the region, and you won't regret it. Gruyere, Appenzeller or – the ultimate melting cheese – Raclette, all add big flavor. Sautéed mushrooms add an earthy flavor that complements Swiss cheeses well. Fresh, creamy goat cheese is a great choice if you're serving veggie burgers. It also complements meat, especially if you garnish the burger with heirloom or sun-dried tomatoes. Because fresh goat cheese is so creamy, add the goat cheese after the burgers are off the grill, either crumbled on top of the burger or spread on the bun. Now that you have a list of 5 cheese types for burgers, head to your local cheese shop and ask for specific cheese recommendations. Your cheesemonger is sure to have a favorite cheddar or Swiss cheese or blue cheese to recommend. Let them know what type of burgers you are making (beef, turkey, or veggie).